Konami and publisher CocoaChina/Chukong have released Contra: Evolution for iOS, the first official mobile version of the classic 1980s platform shooter, with an Android version coming soon. The new game costs $0.99 on iPhone and $2.99 for the iPad version. An Android version is coming to Google Play in the next couple ofmonths, followed by a release on the Amazon Appstore for Android. Contra: Evolution, which was developed out of Konami’s Shanghai studio, actually launched first in China earlier this year, attracting millions of downloads ahead of today’s international release. CocoaChina’s US GM Lei Zhang noted that the Chinese gaming audience has a special affection for the original game. “In China it’s an iconic title. We grew up playing Contra, that was the synonym for video game,” Zhang said. 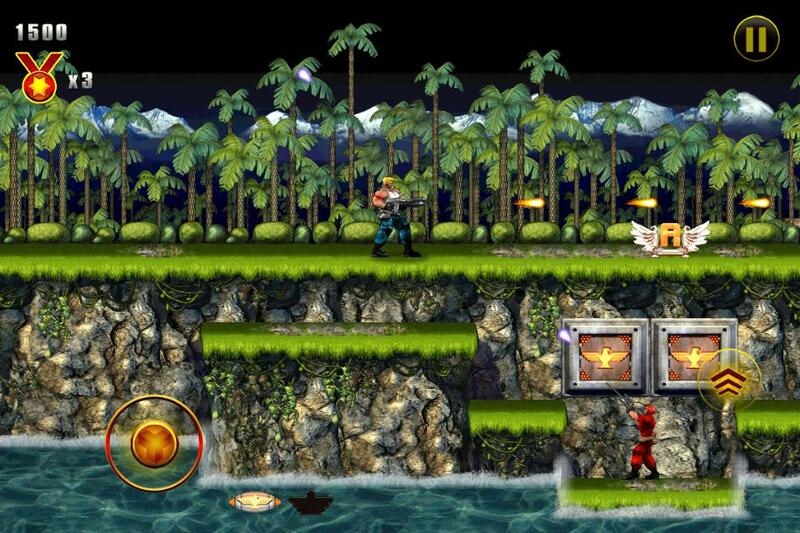 Contra: Evolution accidentally appeared on the App Store for 36 hours in late May and early June before being removed. Zhang noted that the version that arrives today has received additional optimizations and improvements. Konami tapped CocoaChina, which manages the open source Cocos2D-X game engine, for help with the title. CocoaChina also helped provide feedback on the controls, which are set to a floating joystick by default. If you’re still too old school for touch controls, the game is slated to get native game controller support when it arrives with iOS 7 this fall. The original Contra was known for being extremely hard to beat. The mobile version scales back some by offering multiple difficulty levels. Players will also be able to store up more lives than the original. No word yet on whether Contra: Evolution includes the infamous Konami Code, but it’ll definitely be one of the first things we try when we sit down to play.